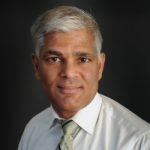 Shashi Buluswar is the founder and Executive Director of LIGTT, the Institute for Globally Transformative Technologies, at the Lawrence Berkeley National Lab (LBNL). LIGTT was launched in 2012; its mission is to bring scientific and technological breakthroughs to address global poverty and related social ills, through advanced research, robust and user-centric product engineering, sustainable business models, and a broad global network of partnerships. In its early years, LIGTT has developed the world’s first portable solar-powered vaccine refrigerator, an ultra-low-cost infant incubator, and a sensor to detect the depth of underground water. LIGTT also recently released a groundbreaking study to identify the “50 most important technology breakthroughs required to combat global poverty”. Prior to joining LIGTT, he was a Partner at Dalberg Global Development Advisors, a mission-driven strategy consulting firm which serves a broad spectrum of clients in international development such as NGOs, corporations, foundations, governments, social entrepreneurs, and international agencies like the UN. Prior to joining Dalberg, Shashi was an Associate Partner at McKinsey & Company and a Visiting Professor at Northwestern University. He holds a PhD from the University of Massachusetts in Robotics, and an MBA from Northwestern University’s Kellogg School of Management. Beyond his professional interests, Shashi spent a decade competing on the Indian national rowing team, and recently made a critically acclaimed documentary film about the India-Pakistan conflict. He also teaches international development at the University of California at Berkeley, and is authoring a textbook on strategic approaches to global social impact. Shashi was born and raised in India.